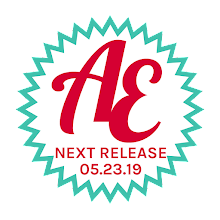 Avery Elle: Mimosas and More! 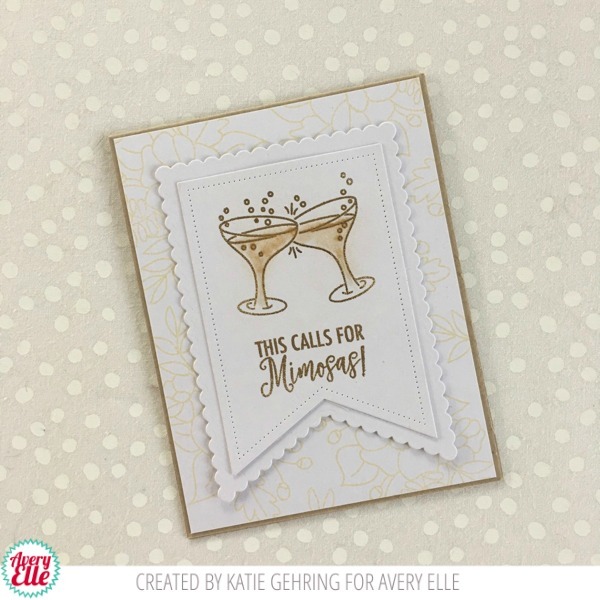 Karolyn created this card and it is a stunner! 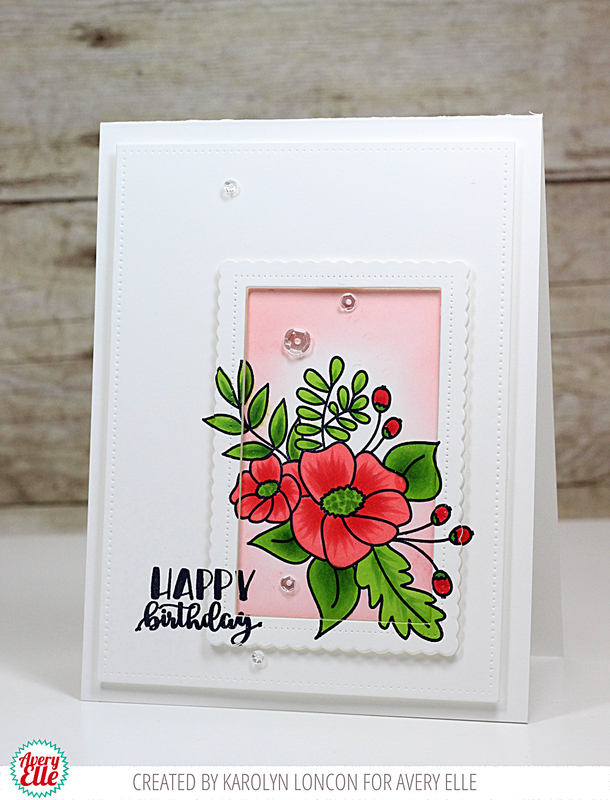 She stamped the floral image from our Mimosas stamp set and sentiment from our Skating By stamp set, colored the floral image in and then die cut to make the various card panels on the front. I love this technique and the result! Katie stamped the floral image from our Mimosas stamp set repeatedly onto a card base. After die cutting and stamping the image and sentiment from the same set she came up with this lovely card. It is fun and elegant! WOW, what beautiful cards ladies! Lovely cards, especially like how the stamped image went over the borders on the first card! Beautiful cards I really like the stamping on the first card and how it went over the frame. Great look and love the stamps and dies. The gold on the second card is a great look.